Curt Hoppe, “Bettie and the Ramones,” watercolor on paper, 1978. Signed by the Ramones. Gallery 98 is pleased to be participating in the exhibition “The Downtown Decade: NYC 1975-1985” at Glenn Horowitz’s New York exhibition space RARE. The gallery describes the show as “a multi-genre overview of the intensely fertile and interconnected creative scene that developed on New York City’s Lower East Side during the late 1970s and early 1980s.” Gallery 98 has lent works by Colette, Keith Haring, Curt Hoppe, Baird Jones and Mark Kostabi, Christof Kohlhofer, Marc H. Miller, Bettie Ringma and Kiki Smith. 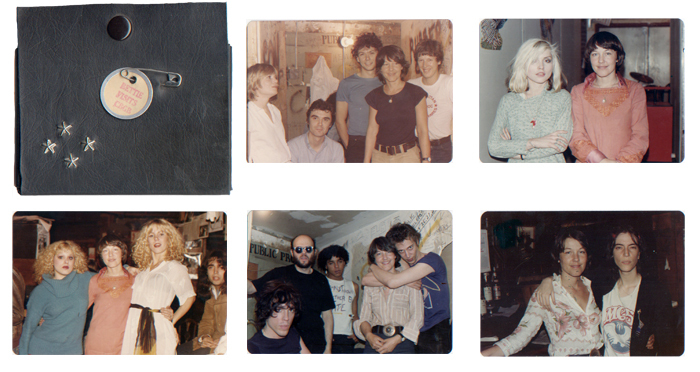 The “Bettie Visits CBGB” portfolio is a collection of ten color snapshots, taken between 1976 and 1978, of Ringma at the legendary rock club with luminaries including the Talking Heads, Debbie Harry, Richard Hell & the Voidoids, Patti Smith, and the Ramones. This conceptual art project by Bettie Ringma and Marc H. Miller took on a new dimension when Curt Hoppe began making paintings after the photographs. 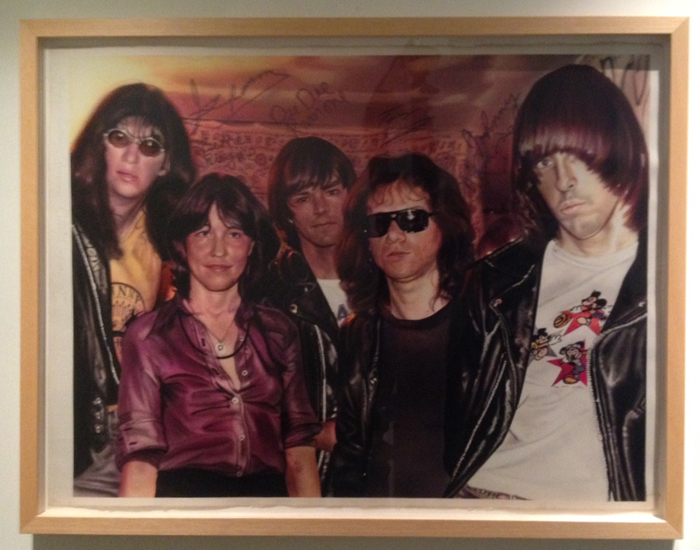 RARE will be showing the watercolor study for the oil painting “Bettie and the Ramones,” autographed by the group at CBGB in 1978. Marc H. Miller and Bettie Ringma, “Bettie Visits CBGB,” portfolio and photographs, 1976–78. Selected photographs, left to right: Talking Heads, Deborah Harry, Nancy Spungen & Sable Starr, Richard Hell & the Voidoids, Patti Smith.